This week on Cops Corner Plant City Police tackled DVD thefts, a plane crash, a fraudulent home owner and more. This week on Cops Corner Plant City Police dealt with fake IRS scammers, magical thefts and more. This week on Cops Corner, Plant City Police responded to graveyard thefts, tracked down stolen vehicles and investigated swiped speakers. This week on Cops Corner, Plant City Police investigated a ransacked vending machine, stolen Xanax and more. This week on Cops Corner Plant City Police investigated highjacked plants, railway robbers and stolen motorcycle helmets. This week on Cops Corner Plant City Police investigated stolen flooring, a counterfeit $10 bill, arson and more. This week on Cops Corner Plant City Police investigated stolen keys, spitting customers and political speech vandals. 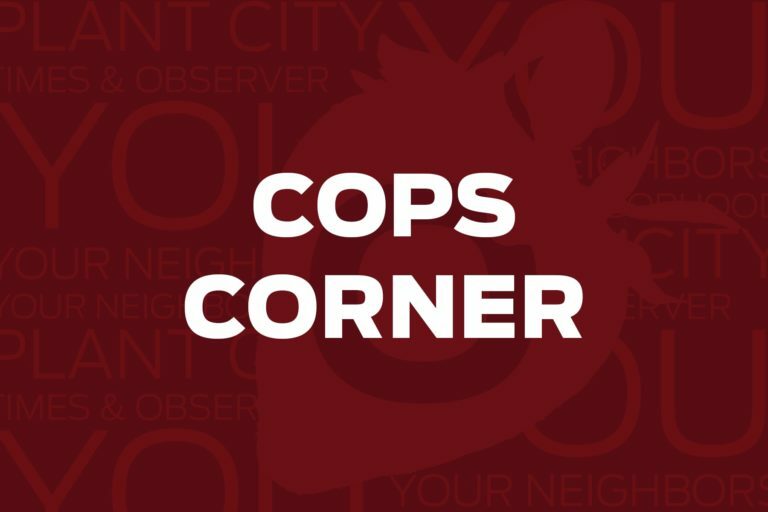 This week on Cops Corner, Plant City Police invested shoplifters, a high stakes game of hide and go seek, an oxygen thief and more. This week on Cops Corner, Plant City Police searched for a stolen dog, investigated jewel thieves and tracked down shoplifters. This week on Cop’s Corner, Plant City Police examined tires filled with nails, investigated stolen mailboxes and responded to an accidental shooting.